If I told you that I paid to spend the night on a beach in Washington… in January… just to eat oysters, you might think I was crazy. But when I heard about the Walrus and the Carpenter nighttime picnic, I didn’t think twice about buying tickets for my husband. And on Christmas day when he opened the tickets, I knew by the drooling grin on his face that I made a very good decision. Our festivities began Saturday night at Steamers Seafood Cafe (@SteamersCafe) in front of Elliot’s Oyster House (@ElliottsSeattle) in downtown Seattle. The cafe had been shut down to the public so our group was served a selection of appetizers (which included some delicious salmon cakes that I neglected to take a photo of because they were inhaled) and of course beer or wine. 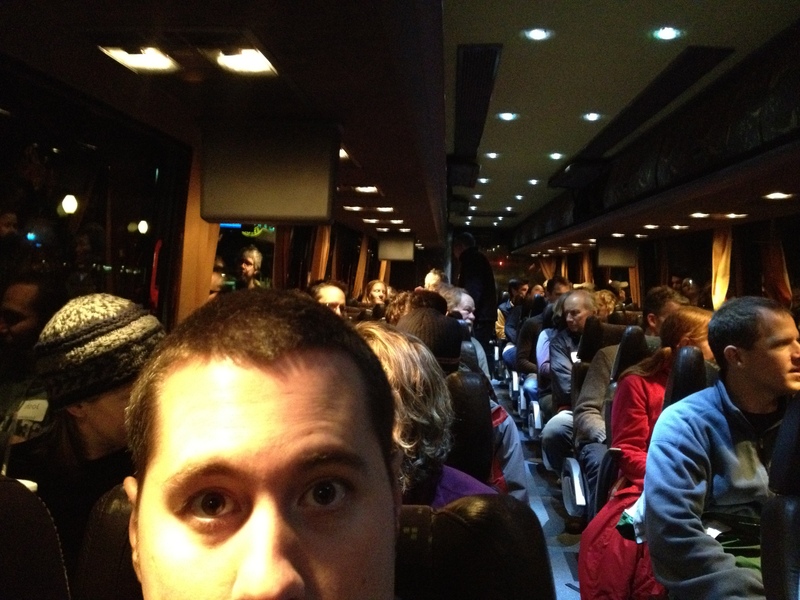 It was a good chance for us to meet others in our group before we boarded the 1.5 hours bus ride to Shelton. We found our seats next to our new oyster pals and as Seattle slowly disappeared from the view in my window, I had this feeling that we had just joined a semi-secret club of oyster lovers, and there was no turning back. An hour into the bus ride, Jon Rowley spoke with us about Taylor Shellfish farms (@TaylorShellfish) (family owned, five generations, 14 farms in WA, 6 in BC…) and how this nightime picnic got started. He shared with us the story of taking the Batali (Armandino and Mario) clan out with their families YEARS ago and realizing that eating oysters off the beds at night in the wintertime “couldn’t get any better than this.” He also spoke with us about the types of oysters we would find tonight and my favorite… oysterwines. We got a lesson in how they are selected, how to pair, and the biggest lesson of all with oysterwine… “A good oysterwine shouldn’t get in the way. It should let the next oyster be what it wants to be.” [view list of 2011 winners here]. Virginica, Olympia, Kumamoto, Shigoku, and Pacifics GALORE! Our chat with Jon came to and end and our bus pulled up next to a gas station when Bill Taylor (President of Taylor Shellfish farms) hopped on to join us for the final 10 minute bus ride to the beach. He gave us the rundown of how the night would progress and what we should expect once we got down to the beach, such as stations of shucked oysters, guides to teach us how to shuck, tables of award-winning oysterwine, a fire pit to grill oysters, and of course a beach full of oysters to shuck yourself. The bus was literally bursting with excitement while we started slipping on our different varieties of northwest raingear. When we stepped off of the bus, we were each handed a crystal Reidel wineglass and told that it was our glass for the evening; images of shattered wine glasses flashed through my head. There was a short walk down a path and just as we passed what appeared to be the wreckage from the last group of walruses that visited the beach, I could see oysterhaven… aaaannnnd immediately lost my husband as he began to speedwalk the rest of the way. When I finally reached him, he was already shucking an oyster off a table with another in his mouth. I slurped down one of my favs, SHIGOKU [see Oyster Love] and filled up our wine glasses, only to find that I lost him again. 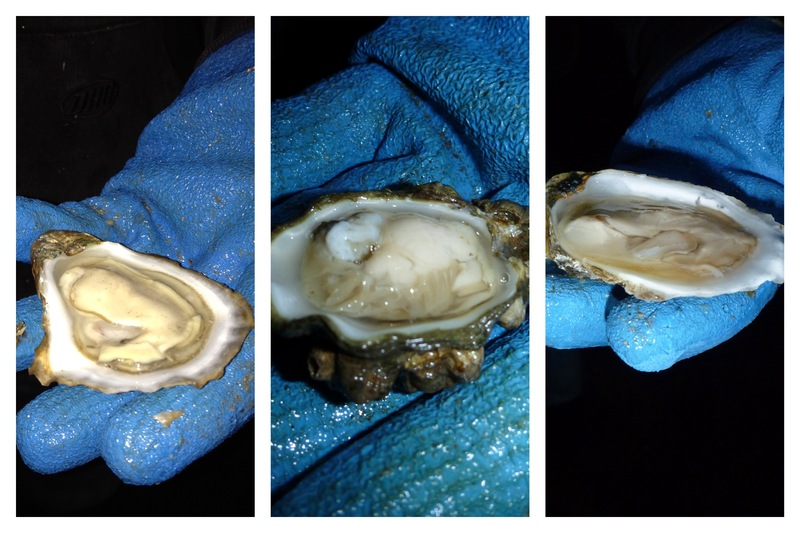 This time I found him rummaging in the water, shucking oysters (primarily Virginica’s and Kumamoto’s) right off the bed. I’m an honest person and I can honestly say that he looked like a crazy man… a HAPPY crazy man. The weather was surprisingly comfortable and DRY, but the most enjoyable part of the entire evening was the sense of camaraderie between all the walruses; we drank together, shucked together, slurped together, grilled together, and took part in an amazing adventure together. 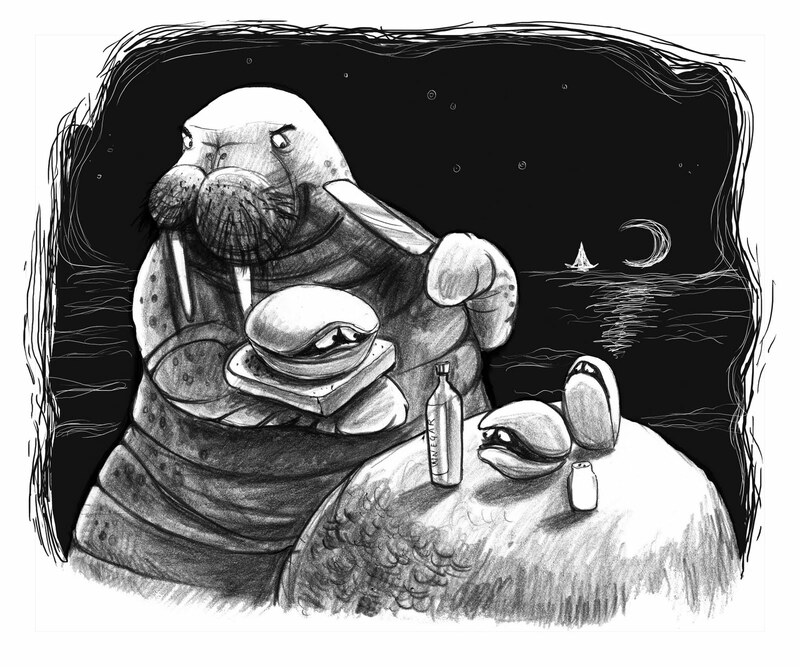 Walruses of all ages were wandering around, drunk off of sweet oyster liquor (haha, get it?! 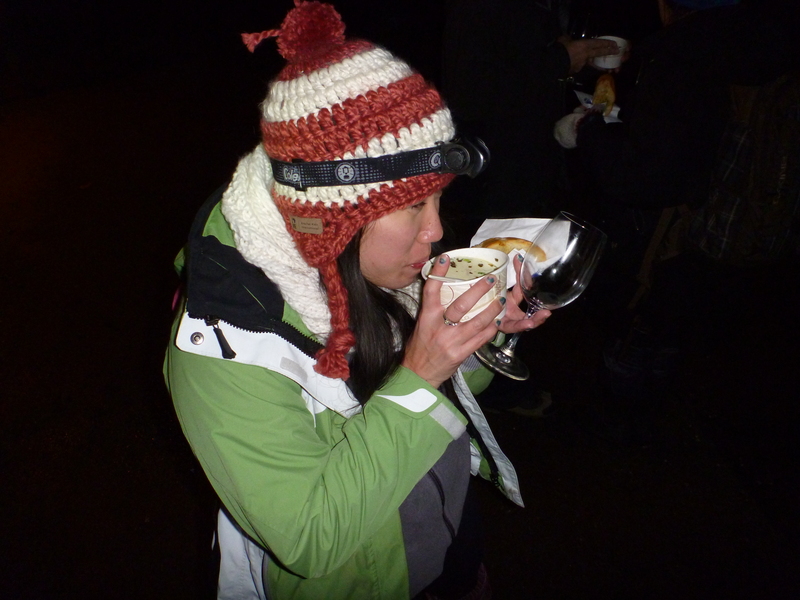 )… we even had a walrus from Washington DC who enjoyed her FIRST OYSTER on this trip! And to top the party off, I got the opportunity to FINALLY try an Olympic, which ended up being too small for my taste. I’ll stick to my kumamotos, shigokus, and virginicas! 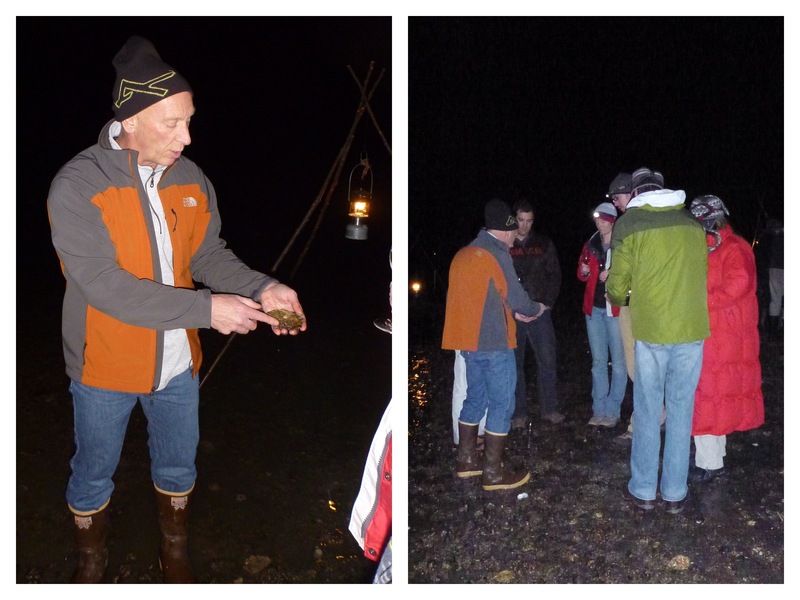 Oyster eating oysters… It was a crazy night! 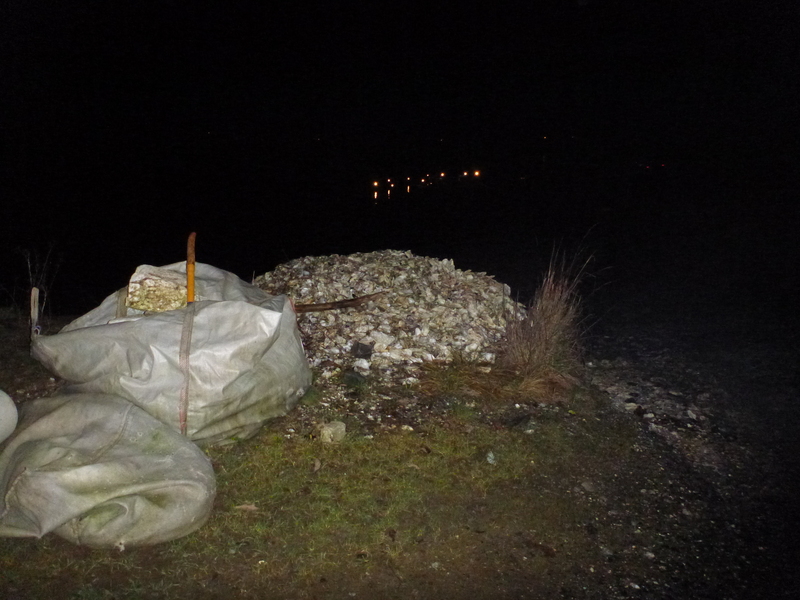 Unfortunately, most good things must come to an end, so our wine glasses were collected and we were herded up the path away from the oyster beds. 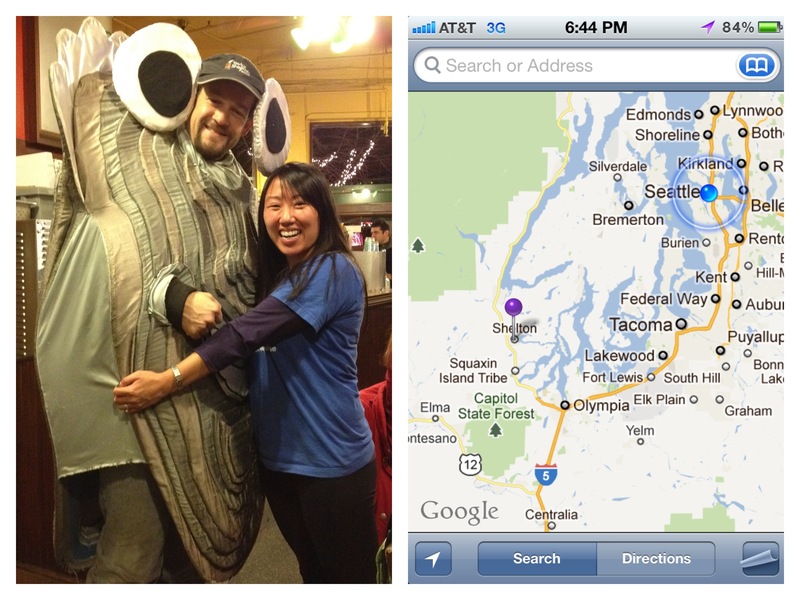 Just as we passed the carnage of shells again, we were greeted by Xihn from Xinh’s Clam and Oyster House. She had the most amazing oyster stew waiting for us. Now, I have never had an oyster stew, so I wouldn’t claim to be anything close to an expert… but holy moly it was good! It was everything i would have expected from an oyster stew; creamy in color, clean-finishing, with a light salty taste on your lips that left you begging for more. The bus ride back to Seattle was filled with the sounds of light snoring and an episode of Dirty Jobs where Mike Rowe (@mikeroweworks) came to Washington to learn about geoducks and meet Xihn. 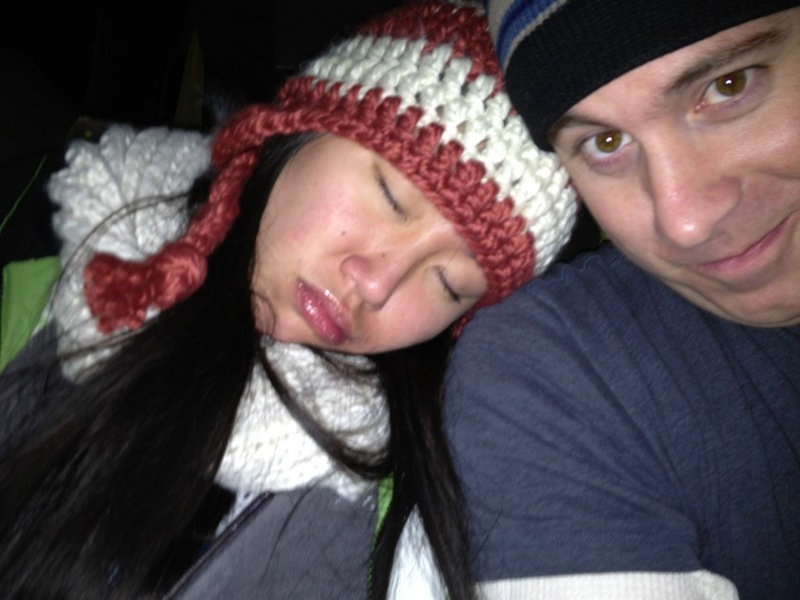 We departed the bus around 1am, said goodbye to our new friends, and vowed to do it again next year. Final count of the night… Husband said he lost count of his oyster consumption after 3 dozen, but lost all his wine glasses to me… Don’t even ask me how many oysters or wine glasses I had, let’s just say I desperately needed pizza and water to celebrate this adventure when I woke up on Sunday morning. Till next year, walruses! 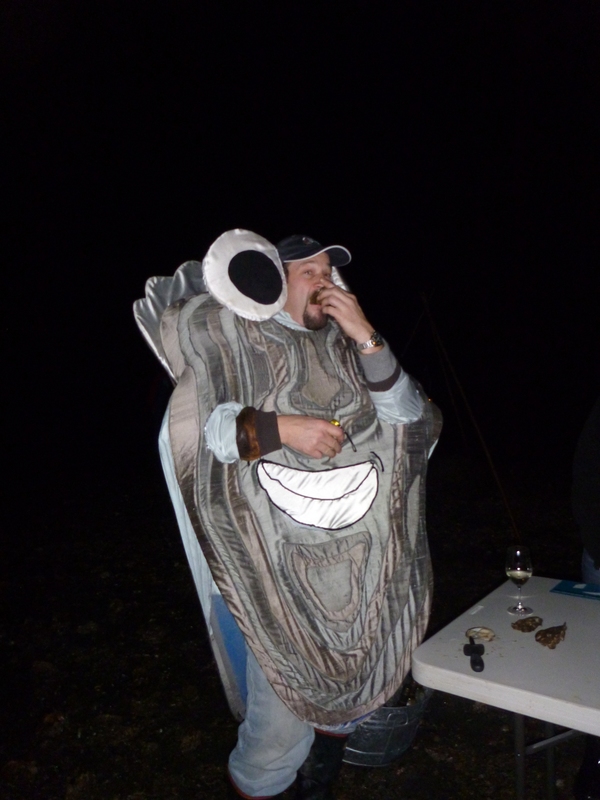 Check out more photos from the Walrus and Carpenter Nighttime Oyster Picnic below. this is soooooooo awesome. I’m so jealous oysters are my favorite. What a freaking amazing christmas present. I need to find someone to buy me a cool gift like that haha. I love you guys, looks like oyster amazingness at its finest. Looks like a great adventure….yummie one too!! Love it! What a northwest adventure!